My mom is the queen of wreaths. 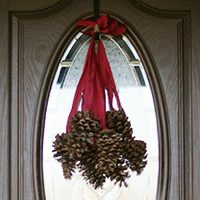 Three years ago she made these beautiful hanging pinecones for her front door, but two years ago she was preparing to move and last year she was living in Florida (where pinecones just don’t quite fit…), so she hasn’t made a Christmas wreath since. 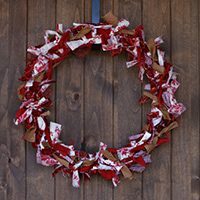 I love this wreath so much because it’s simple and elegant, but the holly berries keep it from being boring! *She bought bunches of holly leaves and just cut off the berries to use; I don’t know if you can find the berries by themselves. 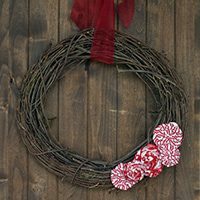 Start by gluing the largest pine cones around the middle of the wreath, pointing them in different directions. Use plenty of glue so they’ll hold securely. 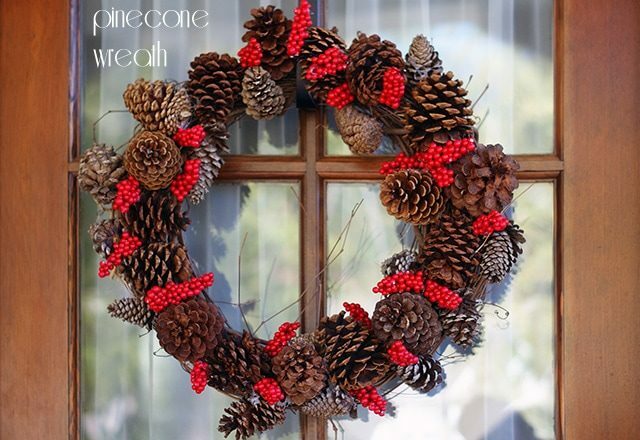 Repeat with the medium pine cones, making sure that they go in all directions to make the wreath look random and full. 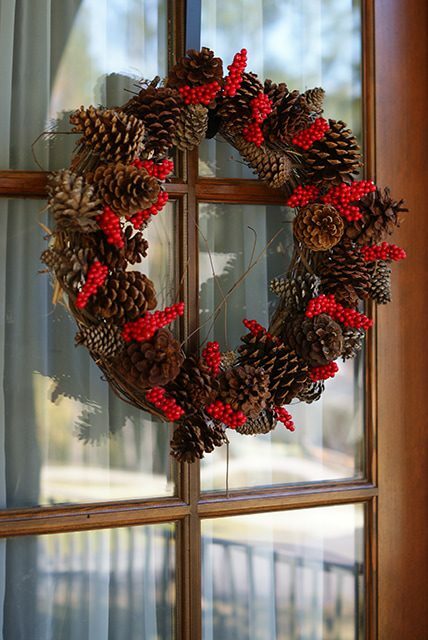 Fill in any spaces with small pine cones and then add bunches of holly berries all around. Don’t focus on perfection because it’s easy to over think it; just add the pine cones and berries where you see an open space!